…to improve the game of football constantly and promote it globally in the light of its unifying, educational, cultural and humanitarian values…Football can inspire communities and break down barriers. Football is for all… We recognise, and work hard to limit, our impact on the environment, inspiring greater awareness and best practice in sustainability standards… building a better future for all through football. The FIFA World Cup Finals are the most extensively viewed and closely-followed sporting event in the world, the pinnacle of achievement in the world’s most popular sport. The average viewership of the World Cup is 2.6 billion people, with over a billion estimated to have watched the Brazil 2014 Final alone. FIFA is expected to see revenues of $4billion from the Brazilian tournament. Sponsors, advertisers, media and the players themselves see large windfalls from the tournament, not to mention the prestige it bestows upon the host nation. Keeping all this in mind, FIFA’s selection of the host nation for the tournament is big business. The governing body has already chosen the hosts for the 2018 and 2022 events, Russia and Qatar respectively, in a double bidding process, the first in the cup’s 80-year history. But why has the announcement of Qatar caused so much controversy? FIFA President Sepp Blatter declared Qatar host of the 2022 World Cup in December of 2010, beating out more favoured bids from the USA, Australia, South Korea and Japan. 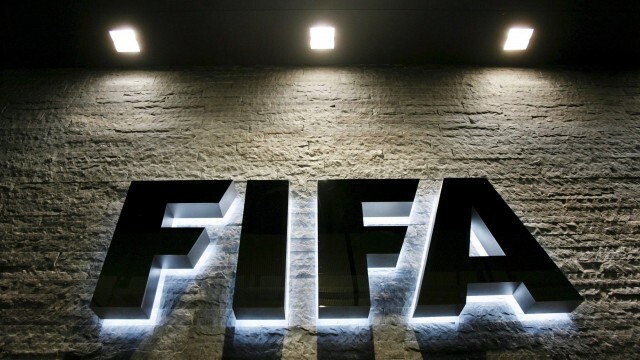 Its bid received 14 of the 22 votes of the FIFA Executive Committee (Exco), the body tasked with selecting the hosts. Qatar’s proposal involved the construction of eight new stadiums and the refurbishment of three more, all located within a 60km radius in seven host cities. The stadiums, as well as training facilities and fan zones, were to use innovative air conditioning to combat extreme temperatures. After the completion of the tournament, some of the stadiums were to be dismantled and used to build 22 stadiums in developing nations. Qatar proposed a June/July tournament that would be carbon neutral. The cost of construction directly related to the World Cup was estimated to be $16bn while total infrastructure and development is estimated to be worth more than $200bn. FIFA noted the legacy value of holding the first World Cup in the Middle East. Yet there remain serious problems with Qatar’s successful bid. Qatar’s summer sees blistering temperatures, averaging 35-40°c in the proposed June and July timeframe, and the proposed cooling technology may not be viable. Consequently, a FIFA task force has pushed forcefully for the tournament to be staged in November/December to avoid the possibly devastating health risks, with a final decision due next month. This interrupts the major leagues of Europe for at least six weeks in the middle of their regular season, while affecting seasons before and after 2022. European clubs and leagues may demand compensation. A change of timing for the 2022 World Cup would see television audiences affected, particularly in the Americas where the prevalence of the NFL in the northern winter may seriously affect viewership. To prevent legal action from broadcasters Fox and TeleMundo, FIFA awarded both companies the rights to broadcast the 2026 edition of the Cup without tendering other offers. More concerning may be Qatar’s treatment of the foreign workers used to build 2022 World Cup venues and the accompanying infrastructure. Qatar has around 1.6 million foreign workers out of its population of two million, with those workers making up 99 percent of the private workforce. Both Human Rights Watch and Amnesty International have issued damning reports on conditions for migrant workers in Qatar, with allegations of late pay, human trafficking, unsanitary accommodation, extreme working conditions and lax regulation. The Guardian reports that in 2012 and 2013 alone, 964 Nepalese, Indian and Bangladeshi workers died, over one a day, 246 of cardiac arrest alone. North Korean workers are used as “state sponsored slaves,” receiving as little as 10 percent of their earnings for the typically three-year-long stints in construction work served in Qatar. The International Trade Union Confederation says that construction work before 2022 could cost up to 4000 lives. Qatar has begun making changes to its labour laws, with pay reform legislation and a restructuring of the hated kafala system of employment on the agenda, along with an increasing inspection and enforcement. Amnesty International outlines in its report above that while this is a start, progress is not sufficient. Blatter has said that monitoring labour conditions is not FIFA’s job, declaring, “In Qatar they are working for big companies…and they are responsible for their workers, not FIFA.” FIFA has since said that it will monitor the treatment of migrant workers in Qatar. Nonetheless, despite having the world’s highest gross domestic product per capita at $94,000, Qatar is a country already with plans for a memorial for workers killed in construction. So how then does the only bid with a “high” operational risk and so many obvious flaws win the rights to host the most coveted sporting tournament on the planet? The answer is through a labyrinth of corruption and nepotism deeply ingrained in the governing body and its Executive Committee. Isaac Ohlin is a journalism graduate who hopes to one day work in conflict resolution and peace building. He currently spends an inordinate amount of time browsing international news.